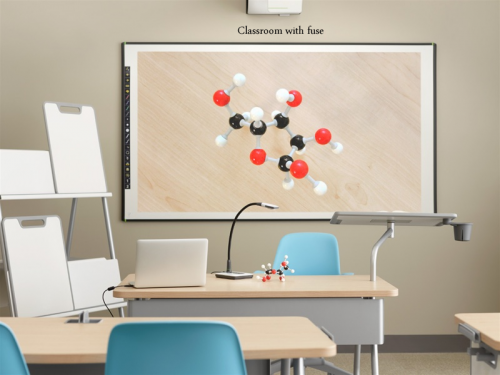 The fuse digital visualizer connects students with 2D and 3D materials to enhance active learning. 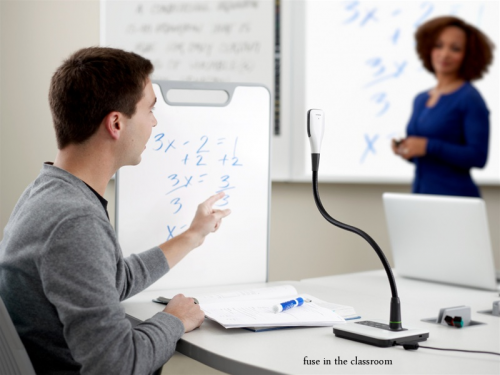 Flexible and cost effective, the all-in-one fuse digital visualizer is a document camera to display and annotate over live demonstrations, web camera to connect with other classrooms and scanner to capture student work. Only fuse opens a world of discovery in a single, compact solution, creating distance learning connections between remote classrooms. And, fuse’s proprietary TrueSnap technology automates perfect alignment and document clean-up to free up lesson preparation time. Distance learning: At 30 frames per second, the fuse visualizer is optimized for distance learning and high resolution video capture. 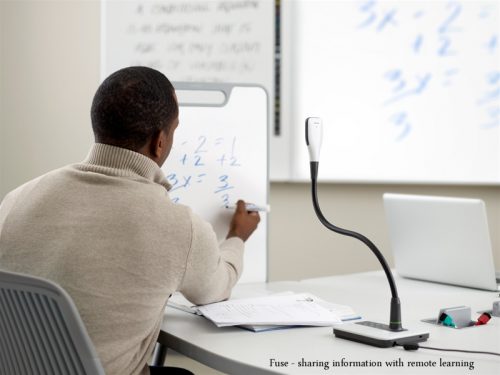 And, the flexible arm can be adjusted during video sessions so every student and object becomes part of the lesson. 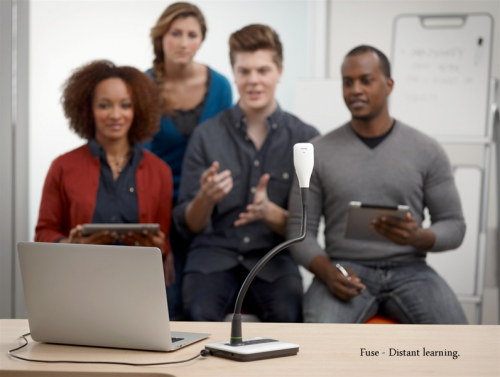 Flexible classroom solution: fuse offers multi-point control from the camera, window or icon strip. Any subject from 11" x 17" binders to 3D objects may be scanned, printed, video-recorded and saved. Designed for success: Aesthetic and lightweight, fuse includes easy-grip inserts around the camera and a durable, scratch-resistant glass lens. 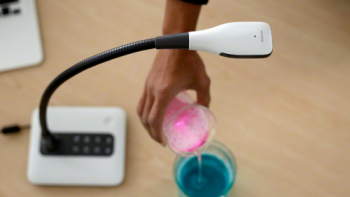 Large buttons and centering indicators make fuse an essential learning tool that can be picked up, moved and used again, in high definition, within seconds. Consistent learning: Substitute instructors easily access lessons and pick up where teachers left off. Absent students keep up with projects with 24/7playback accessibility. TrueSnap technology: Only fuse offers TrueSnap technology to automatically rotate documents, eliminate the bend caused by book-binding and provide instant high-contrast photocopies—with just one press of a button. Intuitive functionality: fuse comes with an icon strip that gives teachers the flexibility to record, scan or resize images right from the interactive whiteboard. All-around safety: fuse is anti-static and anti-microbial for protection from static electricity and minimal transmission of unhealthy germs. Green learning: One simple USB-powered cord eliminates expensive power requirements. And, fuse’s multi-function capabilities minimize paper and facilitates virtual field trips to support eco-awareness. Our team of professionals is here to help with questions ranging from technical specifications and technical support to installation help.